Teresa Boardman is back! Last week we were in the trenches with her, examining the challenges of embracing the technological side of real estate. Today we gain some perspective on why business blogging needs to be a big part of your marketing strategy for 2007. Enjoy! It is that time of the year again. Well, actually it was that time of year last month; time to complete my business plan for 2007. I figure out how much money I want to make, and then I figure out how many transactions I need to accomplish my financial goals. The transactions are then broken down into buyers or sellers, and then I figure how many appointments will be needed each month to meet the goals. After I have my numbers I start planning the tasks that I will need to complete during the year that will generate the number of appointments I will need. My budget plan is generated at the same time. I break my activities down into a schedule with weekly and monthly goals. I am not quite to the point where every day is scheduled but I do some time blocking each day so that I can complete the most important 20% of my tasks, the tasks that will result in revenue. A few years ago some of the 20% would have included cold calling, today it includes writing blog posts, because last year I added my blog to my business plan, with goals and a budget. I would not allow myself to use time during my business day to write a blog if it were not part of my business plan. My goals included Technorati ratings, and number of hits per day. I also set a goal of having at least 3 transactions with people that I met through my blog. I am happy to report that by October I made my goal and currently have two buyers under contract that I met through my blog, that will buy homes in the next four to six weeks. I have also had two listing appointments with people that contacted me via email after reading my blog this month. I would not allow myself to use time during my business day to write a blog if it were not part of my business plan. To justify the time expenditure it has to be an activity that produces revenue, or in some way part of another business or personal goal. If the blog did not help my business I would continue with them but would call it a hobby, and post less frequently. Some would say that a blog is not a tool for lead generation. I would argue that if the goal is to use a blog to meet people, some of those people will become clients, if they know where to find you and if you have given them something of value, in the form of information. My business is built around my database and my goal is to get as many people in my database as I can and actually meet them or have contact with them. People are more likely to do business with people that they know, so my goal is to meet people and get to know them, and let them get to know me. Most of my readers come in through search engines, using phrases like “condos in St. Paul, or “St. Paul home prices”. To accomplish my goals for my blog I have to keep my content focused on real estate and on St. Paul, MN, which is not easy to do. Part of the reason that I am here on Jim’s blog is because I do have a lot to say that is outside the scope of my blog. Sometimes I even like to write blog posts about blogging, or about some of the big issues facing the real estate industry. The audience that I am trying to attract to my blog are not as interested in these topics as I am. Most of my readers come in through search engines, using phrases like “condos in St. Paul, or “St. Paul home prices”. I try to use my blog to demonstrate that I have experience, expertise and that I really do know my market area. I track key words and search terms through Hit Tail, and then write more on the subject and re-use the key words to help keep my content focused. The content can be focused with out being boring, by adding humor, pictures and having posts that are off topic. The process is somewhat intimidating when I consider the potential for antagonizing people, or boring them. If anyone says that blogs do not generate business, I am here to tell you that my experience has been very different. As the number of visits to my blog increases so does the number of people who contact me with real estate related questions and needs. There is a need for consumer content on the internet. Since real estate is a local business, blogs are a great way to provide unique local content that home buyers and home sellers can easily find elsewhere. The most popular content I have is the monthly break down of home sales and prices by neighborhood. The content can not be found of the web sites of major real estate companies or national real estate web sites. Relationships can be built in cyberspace and those relationships are just as valid as the relationships we built with people that we meet in person. I have met some wonderful people through my blog including other bloggers, and am thrilled when I get comments from my peers around the country. The people I have met that have become clients are my “A” type clients, but not everyone I meet on the internet is a good prospect, they are no better or worse than the people I meet through open houses. Last July I worked with a couple that had spent the winter in France. We communicated via email all winter. By the time they arrived in Minnesota we all felt like we had known each other for a long time. Relationships can be built in cyberspace and those relationships are just as valid as the relationships we built with people that we meet in person. My internet presence and relationship building strategies are not embraced by the local experts in the real estate industry. My support system in this endeavor is mostly in cyberspace where I meet like-minded individuals who are trying to accomplish the same goals. We are all figuring it out as we go. For other, more mainstream types of prospecting, which are encouraged by people in the know, there are numbers and metrics. For my blog, I have to learn my numbers as I go, and listen to some experts who tell me that what I am doing is not a practical way to get appointments and win business. Thank you Teresa. We love having you ‘on the vine’. Teresa, as always you are on the money and, in your case, making money. If you focus your blog on real estate and your farm area, you will generate leads. You’ve proven the point, focused content delivers focused results. Nice post. The one point you made that hit home with me was the fact that local experts do not embrace the concept of Real Estate 2.0. I can’t tell you how many times I have mentioned my blogging efforts and watched the older agents roll their eyes at me. Today an agent explained that their goal for 2007 was to go back to the basics and “door knock” and “cold call”. And while they do that I will be blogging. Thanks again for the post. I think a blog could be a great lead generator. If the intent and focus of the blog is to find leads. It is the modern equivelent of walking your farm area. By the way, I’m learning so much from your blog and other great blogs. I’m going to start blogging in February as a major part of my marketing for 2007. I’ve had some success with utilizing my blog to draw attention from FSBO’s in my local area. I just took my first listing as a result of these efforts. From now on, most of my local farming will be centered around the blogging platform as the primary means of communication. I love the idea of actually budgeting for blogging just like you would do for any other marketing activity. That is going to be the cure for my guilt over spending so much time blogging (and researching my posts) – not that i have that much guilt since blogging has produced some unbelievable leads/transactions for me in a VERY short time. What I’m also going to do in 2007 is time block time for reading other blogs more…the tomato is my default home page so I kinda force myself to read it. I wouldn’t be here today if I had not stumbled on it about 3 months ago. My balance sheet and I think you tremendously. Great article, since most realtors would never turn down a new lead. My question is, how do you know when to move your blog to your own domain, and off of a free site like blogger? I own a couple of good domains, and am wondering if I need to post my blog on one of those instead of continuing on the blogger site. If I had my own domain, wouldn’t I have to buy some blogging software? Or will blogger continue to host it for me for a fee? Or should I wait until I have a large following to justify the expense of owning the domain and running my own software? If there was one mistake I made in the beginning that I wish I could have avoided, then it was the fact that I set up the Tomato on the TypePad domain: realestatetomato.typepad.com. So to answer your question, it is time to move your blog on to its own domain before you even begin. Moving the blog to a standalone domain “realestatetomato.com” would wreak havoc on my current level of success. The search engines have spidered the hundreds of articles that I have written, and people have linked to and bookmarked the PERMALINK that is based on the realestatetomato.typepad.com root address. If I go and change the address to all the archived articles, then I will have essentially removed those articles from being found as they were. Not a good strategy once you already have a ‘large following’. Most of my traffic comes from the search engines now, and the moment I oull those addresses (permalinks) down, I can kiss it all goodbye. Now, there are ways to reindex all the content, to insure that it is spidered again… but this is not for the faint of heart. We can help with those that already have a blog, or are just getting started. and as you can see I started it as a sort of witty anonymous blogger situation to try and establish the blog as “THE” blog of the area, and then have my personal RE site – http://www.coleyre.com – as the sole advertiser. I am still trying to find my voice and post more frequently. After finding the tomato and all linked and related sites, I have decided to come out of the closet and not be anonymous, and not apologize for being a realtor. I hope to provide enough content that people won’t mind the soft sell here or there. No realtor in the area has a signifigant online presence beyond the typical “local links” information and “search the mls” tool. I hope to establish myself online. Recently a Wall Street Journal named Lake Martin, AL (specifically the town of Dadeville) as one of the Top 12 places in the nation to own a vacation home (go to wsj.com and search articles for Dadeville AL). I can’t help but think that the author of the article searched RE blogs for local experts before writing the article. I am kicking myself for procrastinating and not having a better blog sooner. Thanks for the great articles. I now subscribe to 5 or 6 RSS feeds and am learning a lot every day. One last question – currently yahoo hosts my http://www.coleyre.com site, and I have to hire folks to update it. How would you suggest that I handle my new blog domain? Currently yahoo hosts it. Should I keep it that way, but just learn how to post to it with the free software you mentioned? I am in a small town area and we really don’t have any good local providers. And do any of you think that keeping it inside blogspot / blogger will help with Google and / or blogger searches? Should that be a concern? I’ve been picking a few leads this year off my blog. Mostly people contacting me for info and they go into my database for future marketing and contact. I started posting about the condo projects in downtown austin and I started getting inquiries from people interested in it. I’ve one had one sale from it and many more in the pipeline. It costs no out of pocket money with WordPress, just my time. I find blogging fits my nature of how I like to collect info and put my own spin on it. I think I’m going to hire Jim to help me revamp my blog and take it to the next level. I need information on tmato production for commercial purposes. I am just about to venture into this business in 2008. Sheila, we will have someone contact you right away. I know that we can help you as we have helped 100’s of real estate bloggers. 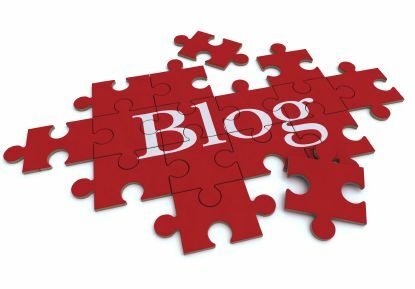 Nice post i must say, blog really acts as huge lead generator, all you need to do is to focus on your content to meet popular search requirements.